The government also contended that the Parliament has the power to pass such an amendment. The Centre, in an affidavit, it stated that it would be incorrect to assume that high acquittal rates in cases under the act were due to false cases and that the law was being misused. The matter is expected to be heard next month. The Centre has provided its justifications before the Supreme Court for the amendments brought in the Scheduled Caste and Scheduled Tribe (Prevention of Atrocities) Act, 1989 to set it apart from the apex court's previous order which diluted the provision of arrest under the law. The government also contended that the Parliament has the power to pass such an amendment. 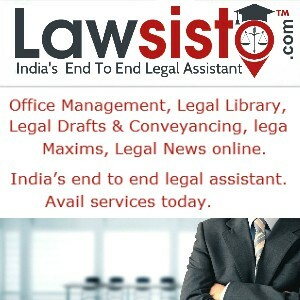 The Supreme Court had passed various directions stating that a public servant could be arrested in cases lodged under the SC/ST Act only after prior approval by the competent authority. The amendments, however, rule out any provision for anticipatory bail for a person accused of atrocities against SC/STs. The Centre, in an affidavit, it stated that it would be incorrect to assume that high acquittal rates in cases under the act were due to false cases and that the law was being misused. To prove this, the government referred to statistics, pointing out that there was no decrease in the atrocities committed on the members of the SC and ST communities. The government further stated that the amendments to the act, which were made following the apex court’s order diluting the provision of arrest, were based on a well-reasoned objective. This objective was to strengthen the statutory framework to give protection to the members of SC and ST communities. The amendments provide for no preliminary inquiry to be required for registering a criminal case and an arrest under this law would not be subject to any approval. After the amendment was passed, a batch of pleas was made to the Supreme Court which alleged that the amendments were passed arbitrarily, restoring the previous provisions in such a manner that no innocent could avail the right of anticipatory bail. The matter is expected to be heard next month.